When using Sat Nav, please enter the following postcode: E17 5AB. This will bring you to the College gates! Parents can park in our visitor’s car park which is located behind the barriers to the left from our college main gates. Parking is private and secure with CCTV cameras in operation. There are 12 car parking spaces which include spaces for senior managers of the College. For local residents with a resident permit, you will be able to park in the resident parking spaces around Chingford Road. However, if you have a permit that is valid on a different zone other than the one shown on Chingford Road then you can park for 3 hours maximum. Residents from a different borough will not be able to park in these resident parking spaces and may have to look for alternatives such as Pay and Display. 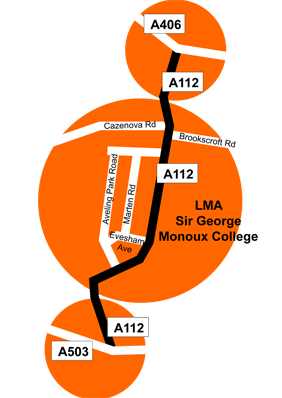 There are other parking spaces available in the Pool and Track, which is to the right of Sir George Monoux College.